Media — Hanford Music Co.
HANFORD HAS MADE MANY MEMORIES. HERE ARE SOME NOTABLE PICTURES AND VIDEOS FROM SOME OF HANFORD'S GREATEST MOMENTS, EVENTS, PERFORMANCES, and guest artist concerts. At Hanford High School, students have had the privilege, due to connections with professional musicians through the directors, have been able to experience events like none other...Guest Artist Concerts. These concerts allow students to work with high-level, fantastic, musicians who do music as a profession. Some notable artists students have worked with are Grammy Award-Winning Bassist Victor Wooten, Grammy Award-Winning saxophonist, and member of the Dave Mathews Band, Jeff Coffin, trombone great, Bob McChesney, wife Calabria Foti, as well as the Dallas Brass and other notable professional artists. Hanford High School has excelled in music, and this is one way. 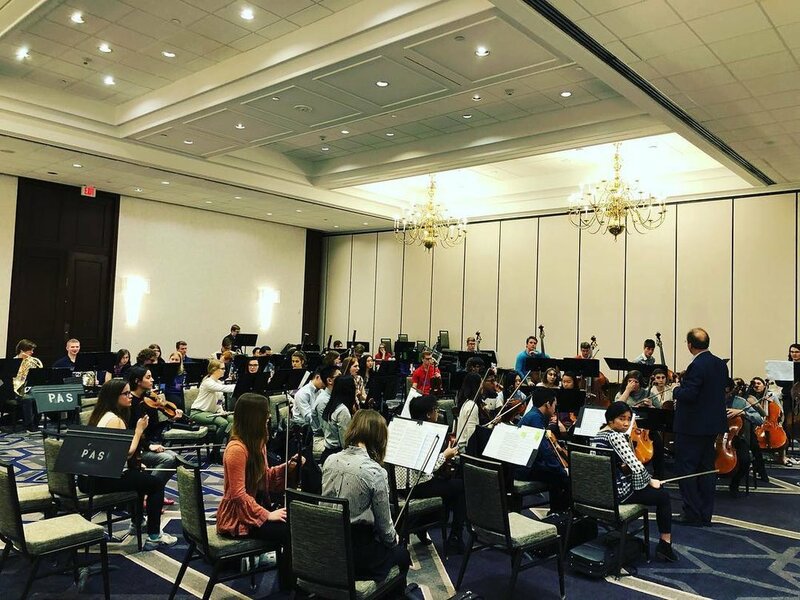 Recently, the HHS Symphony Orchestra was invited to perform on a national level at the National Symphony Orchestra Festival in Indianapolis. This occurred March 20-24, 2017.